Bio: Eytan Bakshy leads the Experimental Design and Causal Inference group with the Core Data Science Team at Facebook. 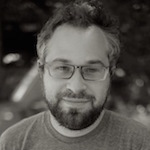 His research interests include large-scale field experimentation, adaptive experiments, causal inference, and information diffusion in networks, and he is the author of PlanOut, an open-source framework for designing and deploying online experiments. His recent projects related to social media and political participation include studies of exposure to political content on Facebook and estimating ideology in sharing networks. Eytan holds a Ph.D. in Information from the University of Michigan and a B.S. in mathematics from the University of Illinois at Urbana-Champaign.